After you’ve reviewed the many options in the Gamble Online for Money online casino directory and selected a casino you’d like to try out, the first step you need to take is to open a player account. Typically online casinos allow players to try out their offering with free games – sometimes this is done by allowing you to register a fun (non-real money) account. 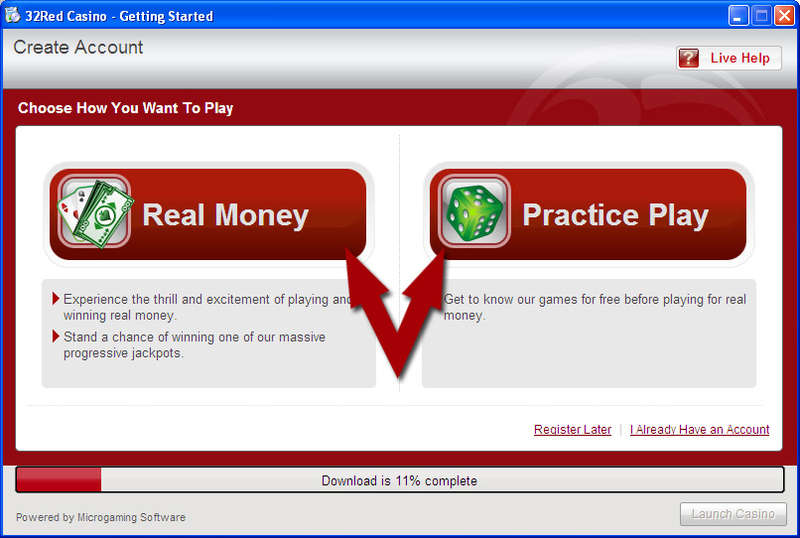 In order to play for real money however, you will need to register with the casino. Your online casino account allows you to deposit money, withdraw winnings and basically keep track of your activity on the casino. In opening a real money account, you will need to part with some personal details usually including information of how you intend funding your online account. For more details and e-wallet funding options if you’d prefer not to use your credit card, please visit the how to fund online casinos page. Reputable online casinos generally have exceptional security measures including 128 bit encryption to ensure your personal data is kept safely. Casinos are very aware of the reputational risk they run if they are anything but very tight with security. Registering for the account itself is simply a matter of entering your details on the online registration form. Once you’ve completed the sign-up process you will have a number of options to start gambling. Since some users are often hesitant to download casino software on to their own machines, many online casinos offer a no-download flash option (usually labelled Play Now). 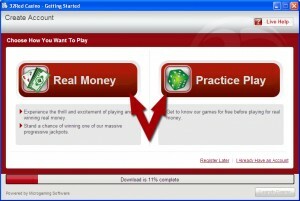 The Download Casino option is generally recommended because the graphics are better and many more features are available to players. The free online casino software on reputable casinos is virus-free and secure – the associated security credentials for the casino are usually published on their website. After you’ve downloaded the setup program, open the file and install the software – this may take a few minutes depending on the casino. After you complete the installation and your account registration, you will likely need to login using the username and password credentials you used. From there on out, the user interface and the gaming process is self-explanatory. Most online casinos provide 24/7 support and comprehensive help pages in case you’re stuck or have any questions. One thing to note for new players is that free money bonus offers can be very lucrative but often come with strings attached. These strings usually take on the form of a minimum amount of wagering before you can make a withdrawal from your online casino account. Please read the offer terms and conditions carefully before beginning to play or signing up for a bonus offer. If you would prefer making your deposit without taking advantage of the offer, you should advise customer services at the respective online casino when making your deposit. To select a casino and to get started gambling online, visit the Gamble Online for Money Online Casino Directory now.